NoJo - Alligator Blues Changing Pad Cover. Soft velboa changing pad cover comes in navy with small embroidery of a happy smiling alligator in moss green. Fits a standard size contoured changing pad 32" x 16" x 6". 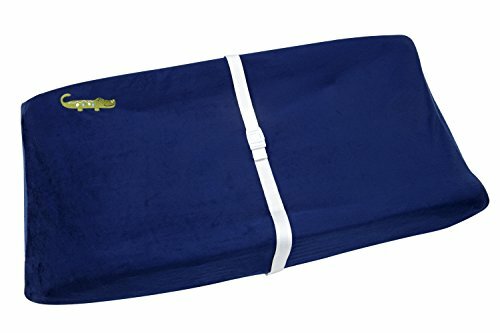 Fits a standard size contoured changing pad 32" x 16" x 4"